The Dublin housing market is facing shortages and it may be too late to take the necessary “evasive action”, a senior Nama executive told a property conference in Dublin today. Addressing an event organised by the Society of Chartered Surveyors, Nama’s head of asset management, John Mulcahy, said there was “room for study” on the length of time it takes to bring residential sites to the point of construction. The regulatory system “contrives to make it a slow process,” Mr Mulcahy said. 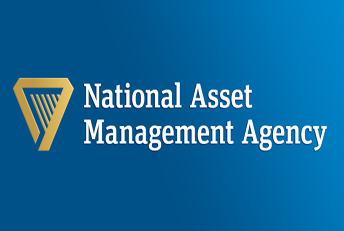 The conference heard that Nama, which has around 10,000 residential properties in its portfolio, has commissioned the ESRI to conduct a study on likely future demand and supply in the housing market. Data on the issue are “still all over the shop,” said Mr Mulcahy, acknowledging that pricing “peaks and bubbles” are already becoming apparent, particularly in south Dublin. “Already, we should be taking evasive action,” he said, adding that it may be too late for this in Dublin. Earlier, the president of the SCSI, Micheál O’Connor, said it was “becoming clear” that up to 20,000 residential units need to be built every year to meet demand in urban areas. The Minister of State for Housing and Planning, Jan O’Sullivan, rejected this, however. “The impression was created by some voices that the problem lay in zoning and available planning permission in the Dublin area, with the solution to be found in more zoning, more supply and the sooner the better. I don’t share this partial analysis,” Ms O’Sullivan said. Householders hit with Property Tax regardless of Stamp Duty paid: Is it fair?